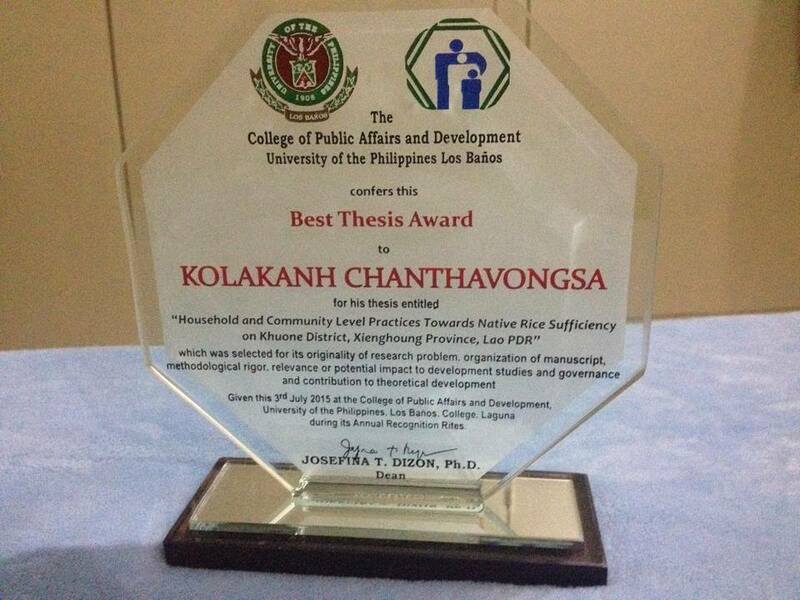 The University of the Philippines' Los Banos (UPLB) has announced the best theses for 2015, and among the winners was a thesis written by a Lao student studying through the university. A large number of students from more than 30 countries attended the postgraduate programme from which the eventual winners were selected. 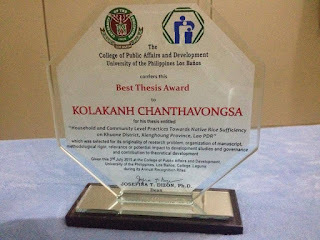 The award winning Lao thesis was written by Mr Kolakanh Chanthavongsa, who graduated with a Master of Science in Community Development. He undertook his studies at the College of Public Affairs and Development at the University of the Philippines Los Banos. 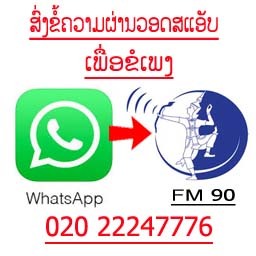 Mr Kolakanh is an official at the Department of Agriculture and Forestry in Xieng Khuang province. He received a scholarship through the Southeast Asian Regional Centre for Research and Graduate Study in Agriculture (SEARCA) to study in the Philippines. 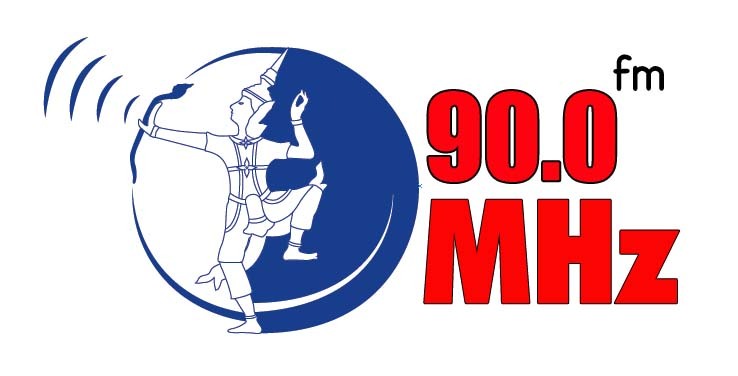 Mr Kolakanh said his thesis was selected for an award after he had already returned to Laos and the recognition was not something that he was anticipating. 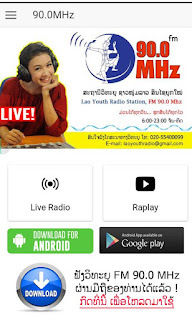 “I decided to study the topic because nobody had ever studied it before and this topic also showed living standards, especially the native rice sufficiency of local communities in Xieng Khuang province, Laos”, Mr Kolakanh said. He recallled that he studied in the Philippines over the period from 2014-15, and started preparing his thesis in the second term of the first year. 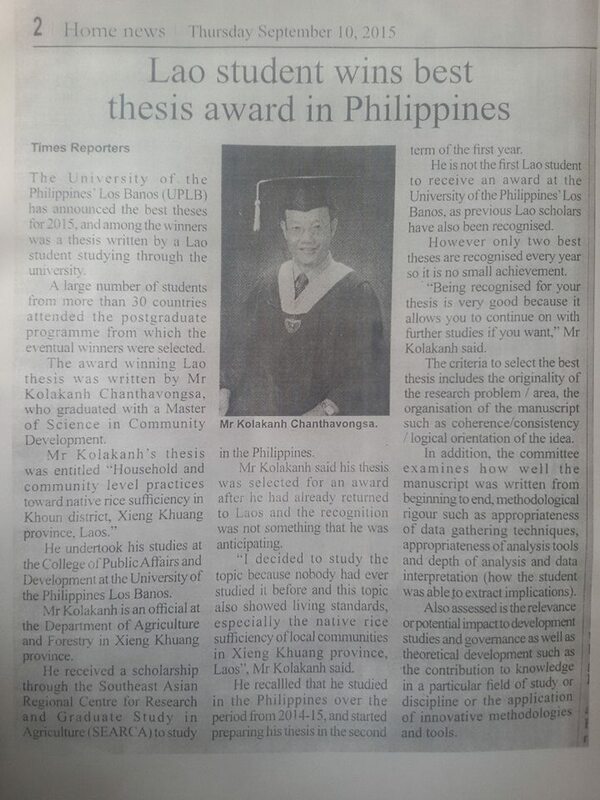 He is not the first Lao student to receive an award at the University of the Philippines' Los Banos, as previous Lao scholars have also been recognised. However only two best theses are recognised every year so it is no small achievement. “Being recognised for your thesis is very good because it allows you to continue on with further studies if you want,” Mr Kolakanh said. The criteria to select the best thesis includes the originality of the research problem / area, the organisation of the manuscript such as coherence/consistency / logical orientation of the idea. In addition, the committee examines how well the manuscript was written from beginning to end, methodological rigour such as appropriateness of data gathering techniques, appropriateness of analysis tools and depth of analysis and data interpretation (how the student was able to extract implications). Also assessed is the relevance or potential impact to development studies and governance as well as theoretical development such as the contribution to knowledge in a particular field of study or discipline or the application of innovative methodologies and tools.